WASHINGTON, D.C. - Today, U.S. Agency for International Development Administrator Andrew S. Natsios announced the swearing in of Lloyd O. Pierson as the Assistant Administrator of the Bureau for Africa at the agency. Pierson was confirmed by the Senate on November 21, 2004. As the head of the Africa bureau, Pierson will provide overall regional and country expertise, manage USAID programs in the field, and represent USAID on Africa to the U.S. Congress. He will also be responsible for communication at the regional and country level with other international donors and financial organizations. Prior to joining USAID, Pierson was Chief of Staff and Chief of Operations for the Peace Corps. Shortly after the inauguration of President Bush in 2001, Lloyd was named a member of the transition team at Peace Corps. In September 2001, he was named Acting Deputy Director with overall agency management responsibilities, including the Africa Bureau. In his role, he was responsible for the day-to-day operations of all Peace Corps programs abroad, headquarters staff, and the 11 domestic Regional Recruiting Offices. Pierson was previously appointed to senior Administration positions by Presidents Ronald Reagan and George H. W. Bush. 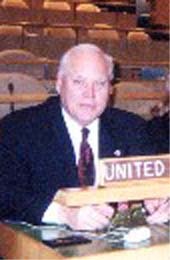 In November of 2001, he was selected to represent the United States in addressing a plenary session of the United Nations during the concluding session of the International Year of the Volunteer. 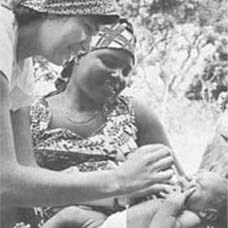 From 1984-1991, he was the Country Director in Ghana and Botswana and served an interim assignment in Swaziland. In addition, he negotiated bilateral agreements for the Peace Corps in Zimbabwe and Namibia. Pierson was named the first Peace Corps Country Director in Namibia following that country's independence from South Africa on March 20, 1990. He subsequently assisted with establishing Peace Corps programs in Armenia, Bulgaria, and Uzbekistan. Prior to returning to Peace Corps in 2001, Lloyd was Director of the Africa Division for the International Republican Institute (IRI), a Washington, D.C. based non-profit organization that works to advance democracy and good governance abroad. He has testified before the United States Congress on Angola, Nigeria, and Zimbabwe and has been quoted in the media and academic journals on issues related to Africa. From 1982 to 1984, Pierson was a Staff Associate on the House Appropriations Subcommittee on Foreign Operations. Pierson is a graduate of the University of Houston and has done post-graduate studies at the South Texas College of Law and Lamar University.